Gingham Pillowcases (Extra Set of 2)Gingham Pillowcases &#40;Extra Set of 2&#41;, Black alt="Gingham Pillowcases &#40;Extra Set of 2&#41;, Black"
Print Borrowed from the boys, this is one of those classic patterns that's easy to dress up or down – just like the perfect button-down shirt. 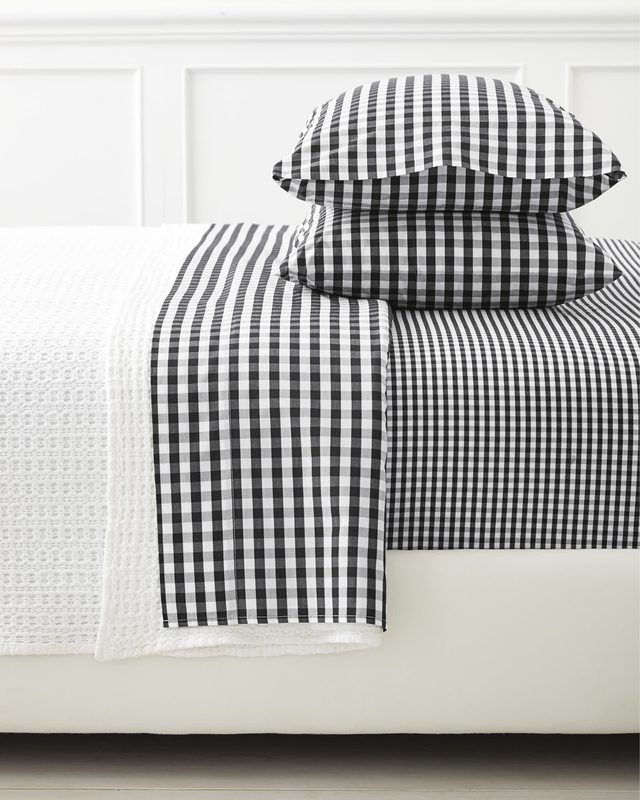 We love how the flat sheet and pillowcases are woven with a slightly larger gingham than the fitted. 100% stonewashed yarn-dyed cotton percale.